As chairwoman of the Mababu Farmer Business Group, Mizinala Lutolo is increasing revenue while honing her leadership skills. The cocoa from Kyela District, Tanzania, is gaining international recognition for its unique flavor profile. 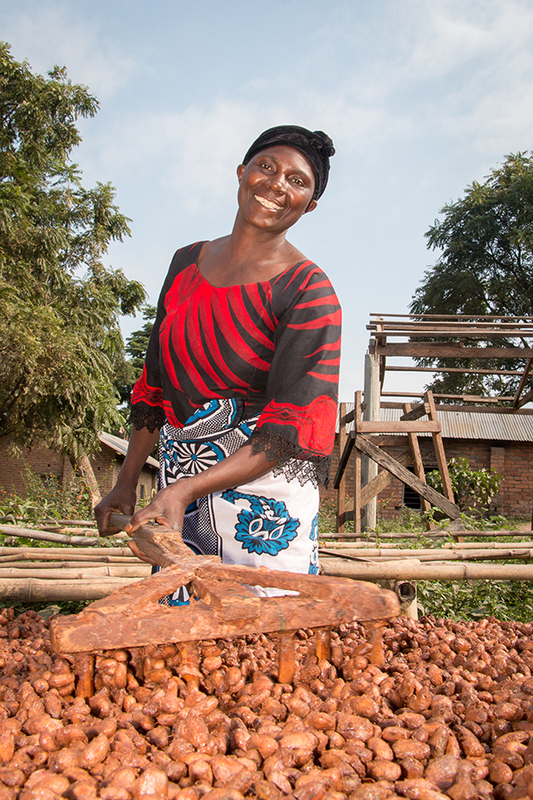 But for nearly two decades, Mizinala Lutolo grew cocoa on her family’s three acres without realizing its full value. She and her husband, Livingstone Mwakipesile, sold their cocoa at a low price, and worried about how to keep their four children in school. 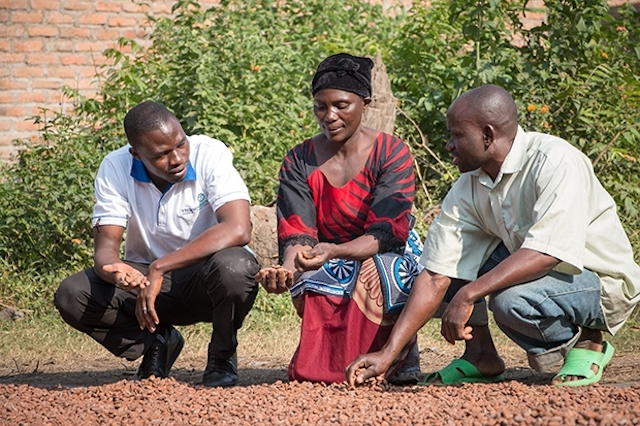 In 2011, Mizinala and Livingstone joined the Cocoa Quality and Market Access (CQMA) program, a partnership between Irish Aid and TechnoServe, and together with other farmers in their community formed the Mababu Farmer Business Group. 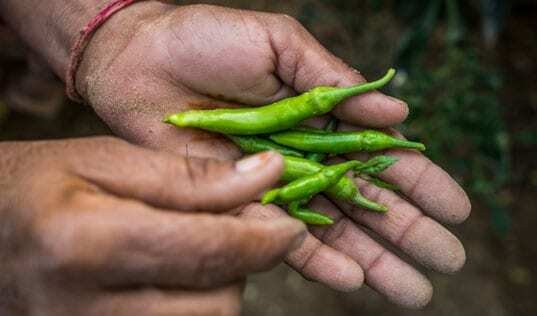 Mizinala learned good agricultural practices, such as responsible pruning and disease management, as well as proper fermentation and quality control. “Our cocoa is great,” she says confidently of the group’s beans today. Elected as Mababu’s chairperson, Mizinala now plays a leading role in the farmer business group’s growing success. 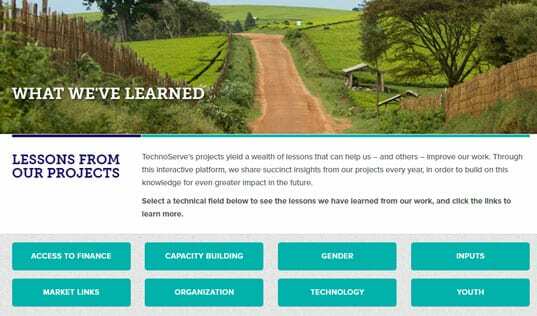 TechnoServe connected Mababu to specialty cocoa buyers, such as Tanzanian company Chocolate Mamas. These market linkages have increased revenue for Mababu’s members. Mizinala and Livingstone are using their higher income to invest in their farm and improve their family’s quality of life. 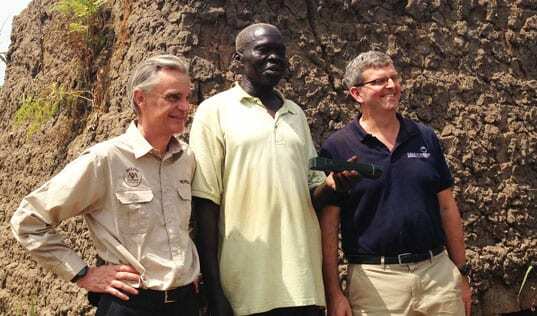 They recently bought two acres to plant additional cocoa trees and are planning to renovate their house. Mizinala says she is especially proud of being able to send all her children to school, including her oldest son, Luimiko, who is completing Form 4 in a private secondary school and plans to advance to university.